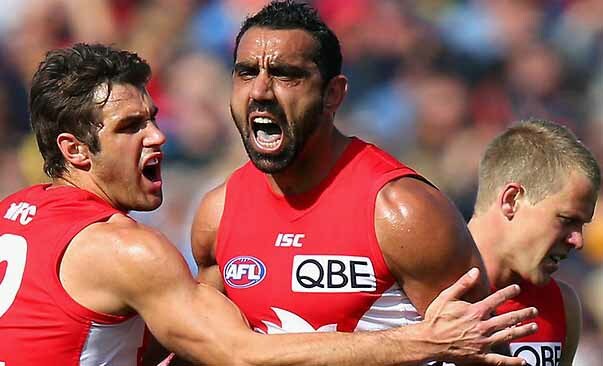 Expressing shock, Hindus want immediate end to derogatory slurs and constant racial jeering and abuse of Indigenous Australian Rules footballer star Adam Goodes, which has reportedly caused him to take a leave of absence. Distinguished Hindu statesman Rajan Zed, in a statement in Nevada (USA) today, stressed that anti-racism initiatives were immediately required in Australia, its growing culture of racial intolerance needed to urgently curbed, and it should do a deep introspection of its heart and be kind to indigenous people, immigrants, minorities, and other vulnerable groups. Zed, who is President of Universal Society of Hinduism, suggested that public apology on national television by Australian Prime Minister Tony Abbott and Australian Governor-General Peter Cosgrove on this issue would send a strong message against xenophobia. Australian Catholic Bishops Conference, Anglican Church of Australia and other religious groups in Australia should also come out strongly against the prevalent racism, as we were all equal in the eyes of God, Zed added. It was highly disturbing and appalling to note that such racist attitudes were alive and well in 21st century Australia, a culturally diverse society now. Despite the drastic change in demographics; racism, insensitivity, xenophobia, vilification and racial abuse seemed to be shockingly prevalent in 2015 Australia, Rajan Zed indicated. Zed further said that Australia should bestow constitutional recognition to nation’s indigenous people, which was long overdue as it should have been done when the constitution was originally framed. It was blatantly unfair and simply wrong for indigenous people not to be recognized in the constitution as Australia’s first residents. Moreover, Australia should end age-old discrimination suffered by them and bring these native sons and daughters at par with rest of the Australia in education, health, employment, etc., levels, Rajan Zed pointed out. A highly developed country and with the second-highest human development index, Commonwealth of Australia ranked as one of the best places in the world to live. Sixth-largest in the world, this country of kangaroo and koala is known for its natural beauty and has the longest continuous cultural history.